For many, July 31st marks the end of another summer month, however, for Ryan Titchener, July 31st is the anniversary of his climbing accident. 2 years ago, the Calgary man suffered a crushed spine after a boulder dislodged from a mountain. Doctors told Ryan he may never walk again but that did not stop him from trying. He started by just being able to wiggle one toe, then after months of extensive physiotherapy, Ryan was able to take his first few steps. Fast forward to present time, Ryan has worked his way back to walking and biking. However, he is determined to climb again. 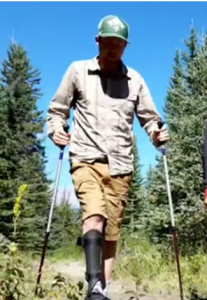 In his interview with CBC Calgary (Watch HERE) R yan is also portrayed using ACTIVATOR™ Poles which allow him to keep doing the things he loves while adding more stability and balance to his gait. Urban Poling Inc. is elated to be helping Canadians get moving from coast to coast. Whether it’s preventative or postoperative our mission is to promote ability and helping people realize their full potential. We are so proud of Ryan as his journey perfectly encompasses this vision. 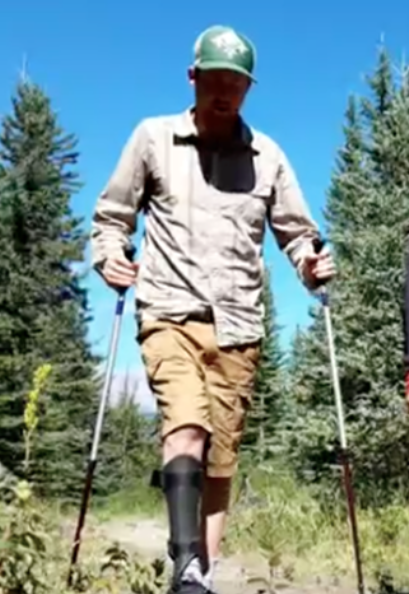 Congratulations Ryan on your recovery, we wish you well on achieving your next big goal and we are glad that our ACTIVATOR™ poles may tag along for the climb.